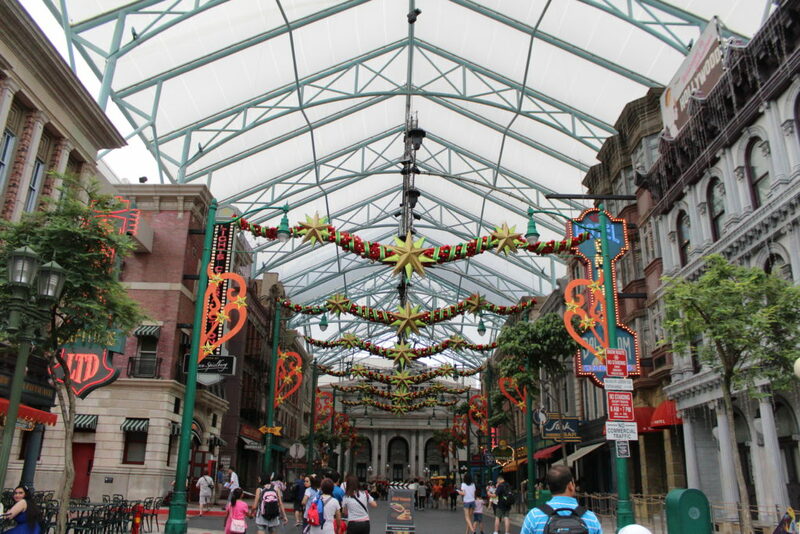 This Christmas, we visited Singapore – the Lion City of Asia. When I googled about Singapore, I was pleasantly surprised to know that Singapore stands for Singapura (‘Singa –lion, pura – town), a name it derived from Sanskrit. It is said that ancient India (before 1000 CE) exerted a profound influence on South East Asia, including Singapore and that it was a part of the Indianized kingdoms of Srivijaya empire, Majapahit and others.<sup>1 </sup> Apart from its ancient Indian connection, Singapore's recent ‘rags-to-riches’ success story with its founding father, Lee Kuan Yew, impressed us greatly nonetheless! We had an awesome week-long vacation exploring the city country and its diverse culture. Singapore, truly, is a lovely city in everything it offered to capture our imagination - from its towering skyscape to its neat, tree-lined streets; interspersed with beautiful open vistas of the Singapore river; its colourful, busy ethnic quarters full of zest and energy; to its daily refreshing rain showers - this little city country has much to offer to any wandering tourist. Here in this blog, I am not going to write about the various touristy places, parks and zoos that we explored there. Singapore is quite a popular tourist destination and there is already loads of information on the net about which places to visit and sightsee. 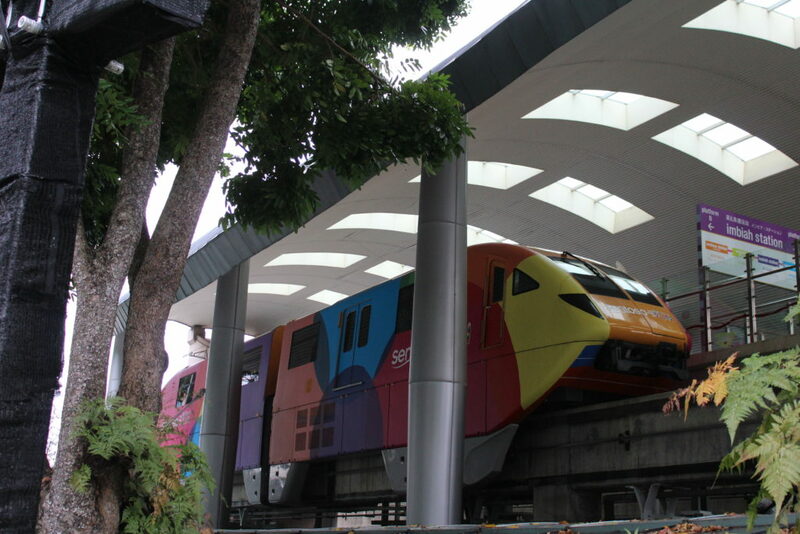 It is also easy to move about in Singapore using their efficient Metro Transit Rail (MRT) system and Uber cabs. So, here I am going to focus on our cultural, gastronomic and shopping experiences that we enjoyed and are going to cherish for a long time to come! 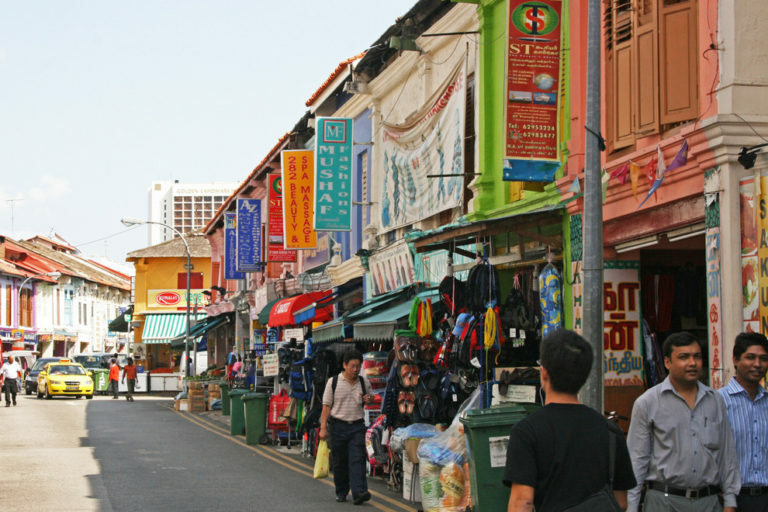 Little India and Chinatown are the major cultural hubs of Singapore. Both these neighbourhoods are great places to hang out, shop and eat! Squeaky clean streets, cheap food and lots of roadside shopping along with historic landmarks, lend its charm to these places. 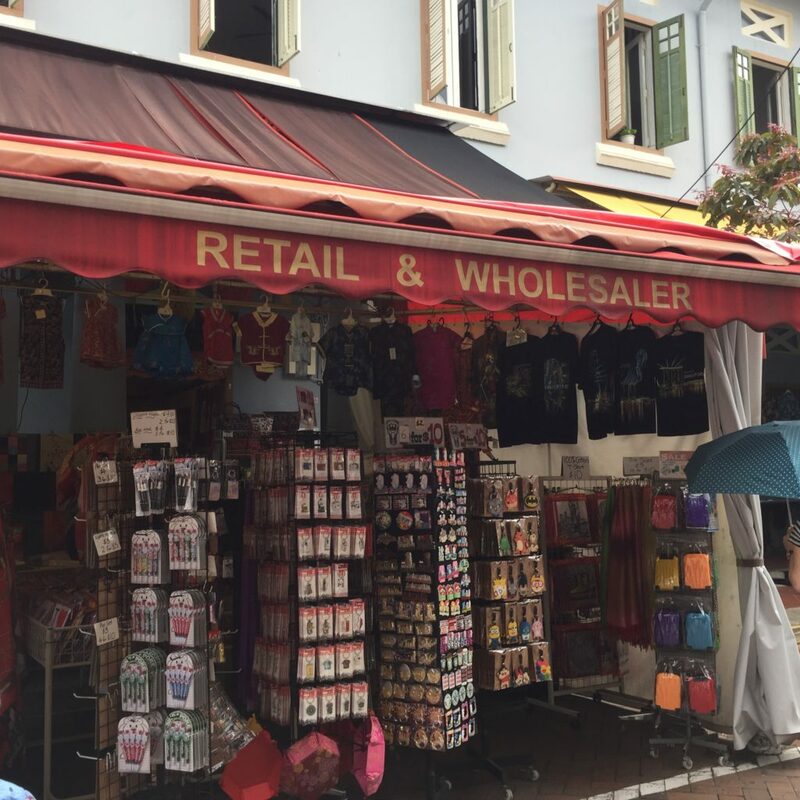 We wanted to visit Little India for all that we had heard about it; that this little district in Singapore is a miniature and sanitised version of the real India. And we were not disappointed! We were rather pleasantly surprised to see a mini Tamil town ensconced in there. The moment we stepped out of the MRT into Little India, we were greeted with State Bank of India on one side and a line of Indian shops on the other – selling everything from vegetables, flowers, incense sticks, Kanjeevaram sarees, banana leaves, pooja items, etc. etc. The vendors were sprinkling water on their vegetables to keep them fresh and eventually wetting the footpaths in the process - just like in India :D. Loud Tamil songs were blaring from another shop! Komala Vilas and many other south Indian restaurants in the vicinity were buzzing with crowds. The familiar and delicious aroma of sambar was wafting through the air and whetting our appetites! We had not eaten Indian food for the past 3 days ever since we had landed! Coming from Bangalore, we visited Little India mainly to satisfy our cravings for Indian food. We decided to go to Swad, a Gujarati thali place that proved true to its name. Armed with directions on our phone, we walked across the neighbourhood to this tiny vegetarian restaurant. We opted for the limited thali which served 3 different sabzis, dal, farsaan, khichdi/rice, and phulkas directly off the stove. Ravenous as we were, the food tasted super yummy and was gobbled up in no time. 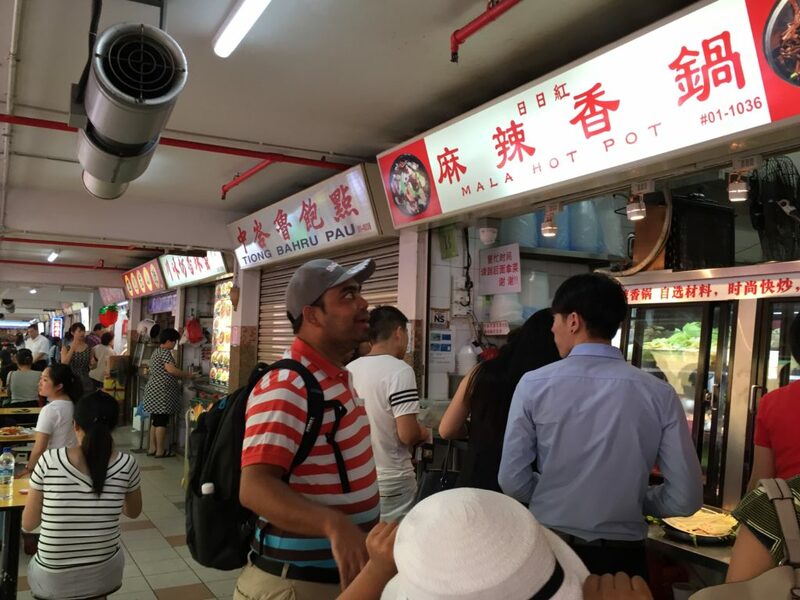 During our numerous rides across Singapore, many Uber drivers had suggested that we visit Mustafa shopping centre situated on Serangoon Road in Little India. 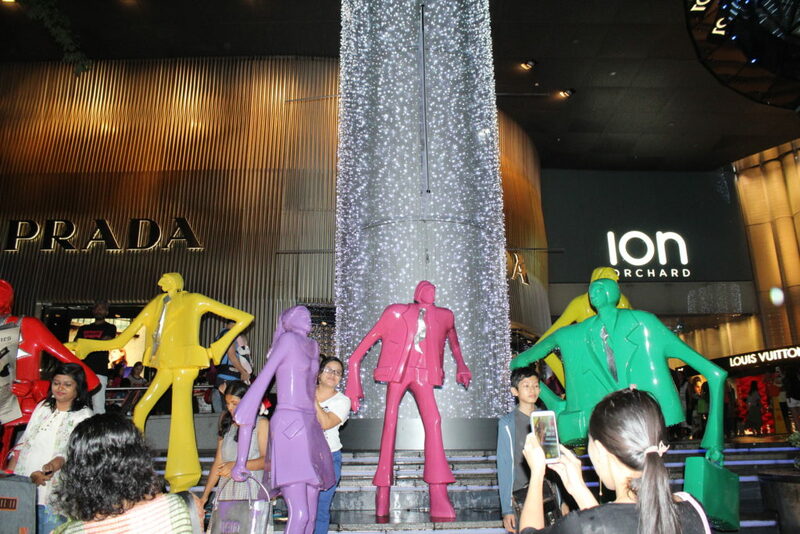 The 24-hours open, crowded shopping centre gave us some delightful shopping experience. Chocolates and electronics were really cheap there as compared to those found in India! However, unlike Little India, we visited Chinatown mainly to explore the culture and ethos of the Chinese immigrants there. Right at the entrance of Pagoda street (one of the main shopping street in Chinatown) is the Mariamman temple, the oldest Hindu shrine in Singapore. I covered my knees with a sarong wrap to enter the temple, but was not allowed to go close to the sanctum-sanctorum as visitors to the city were not allowed beyond a point. 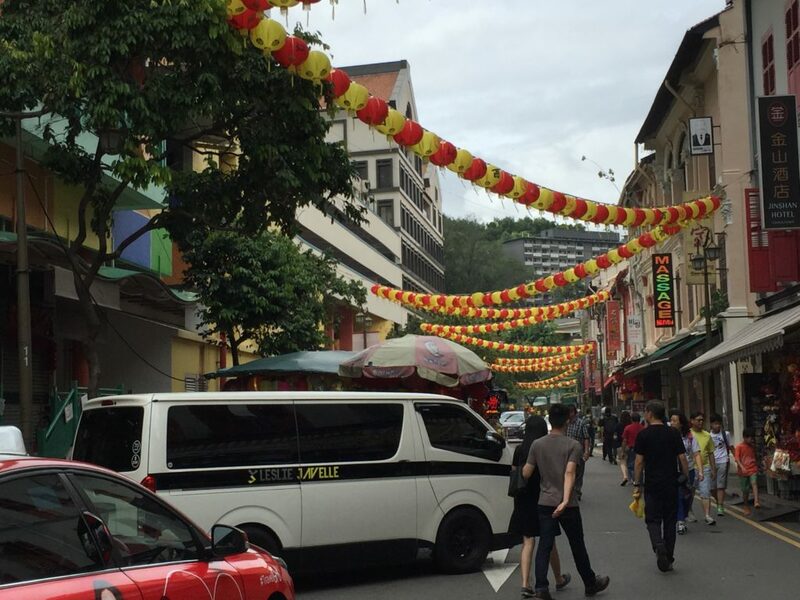 The Pagoda street next to it is a line of Chinese shophouses on both sides of the street selling everything under the sun – right from trinkets, clothes, crockery, decorative items, spa treatments to exotic food. It also houses the Chinatown Heritage Centre depicting memories and stories of Singapore’s early forefathers. The walk across Pagoda street led us to a MRT station and beyond that a flight of stairs took us to People’s Park Complex shopping centre. 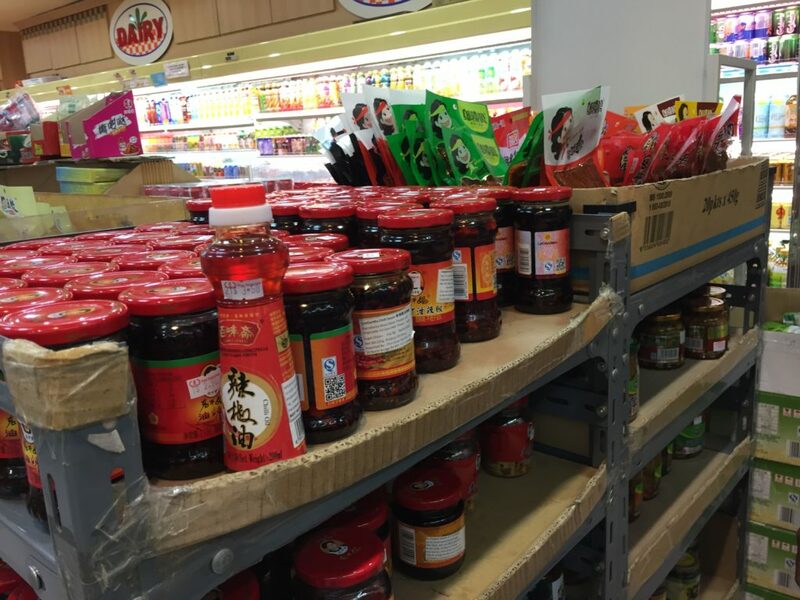 It is a modest mall as compared to the ones on Orchard Road but it did give us what we were looking for – Chilli oil and chilli paste. Yes! We absolutely love these condiments and wanted to buy it. 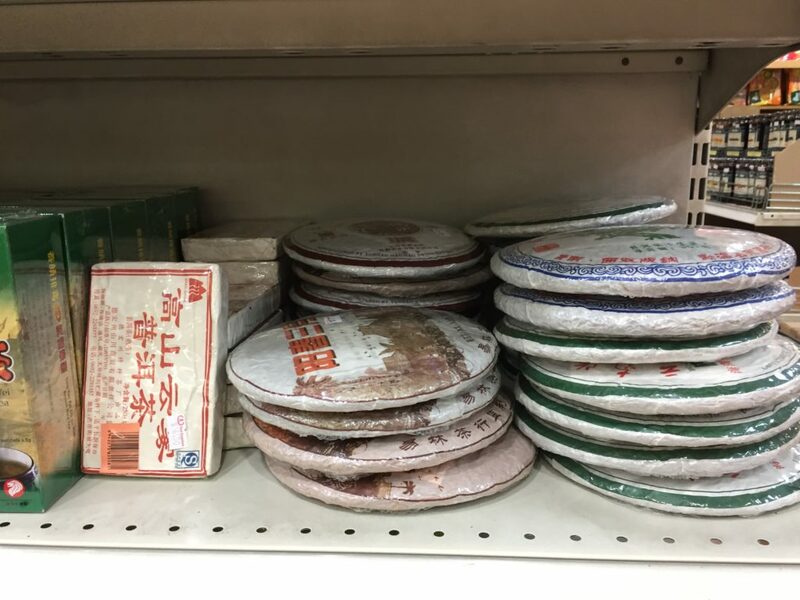 We looked around in the mall and finally found it in a Mandarin-speaking shop on the ground floor. With a little help around the shop, we soon discovered them in one of the aisles. I incidentally found some pu-erh tea as well (the Chinese tea which supposedly has many health benefits) which we picked. The Chinese New Year (which fell on Jan 28, 2017) preparations had already begun and the streets in Chinatown were a picture of colour and gaiety. Paper lanterns and decorations in red and yellow hues were all around us. We were also lucky enough to see a lion dance unfolding on the busy streets there. Our Uber driver told us that such functions were held not only during the new year celebrations but also at business-opening ceremonies to usher in prosperity and good luck. How cool is that! 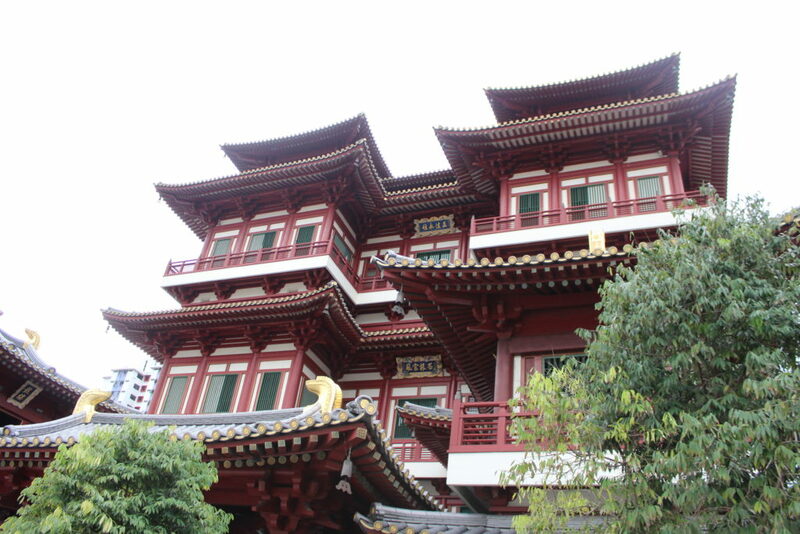 Our day in Chinatown concluded with a visit to the famous Buddha Tooth Relic Temple. People were offering incense sticks at the entrance as a mark of respect. Again, I covered my shoulders and knees with sarongs kept in a box outside the temple. Though this time, I wrapped myself up quite tightly with the sarong before entering the temple (it’s a pain if you have to keep on fixing the sarong time and again lest it slips :D). A holy ritual of some kind was going on with monks standing near the altar and singing prayers. The atmosphere inside the temple premises was soothing and calm. The museum on the top floor is worth a dekko too. 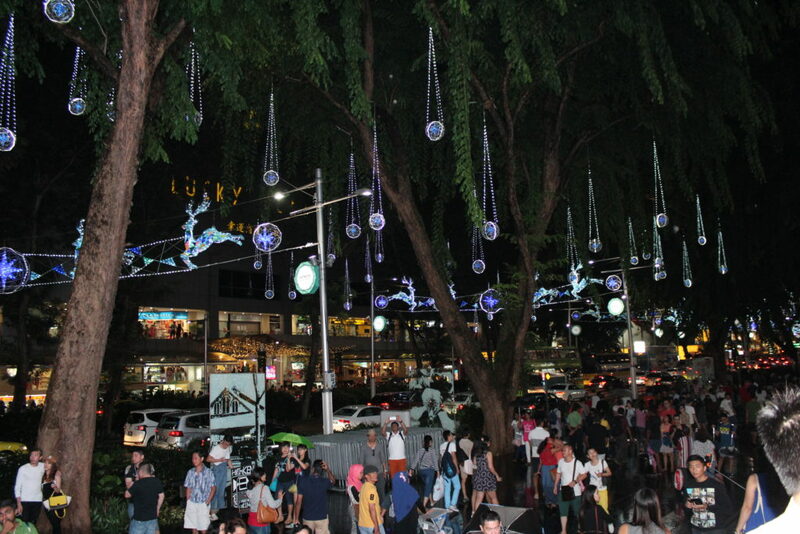 Orchard Road, a well-known shopping destination, was a picture of festivity on Christmas Eve. Decorations and lights adorned the shops and the atmosphere was one of joy. We shopped in Daiso and a couple of other Japanese outlets before calling it a day. After shopping, we decided to try some authentic Chinese food. Indo-Chinese food with all the manchurians and spicy flavours that we get in India is totally Indian! 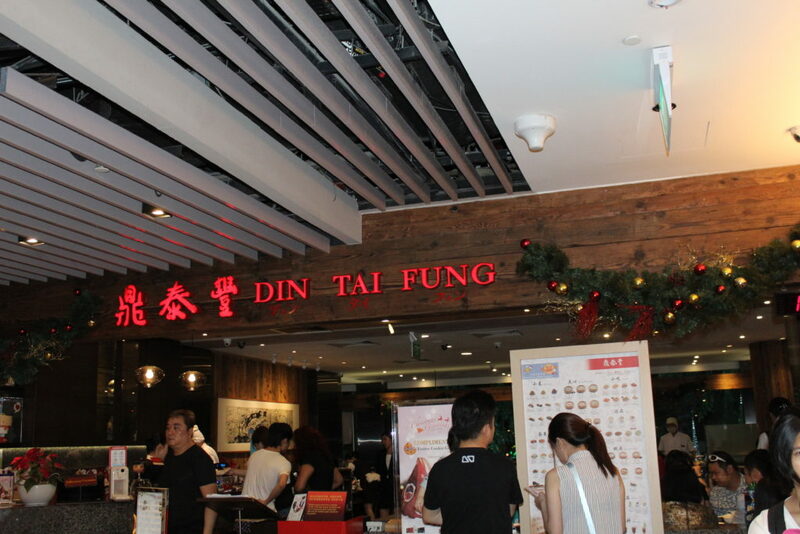 Being in Singapore, we wanted to taste the 'authentic' Chinese (read vegetarian :p) cuisine….And thanks to my husband’s buddy and his wife, we dined at Din Tai Fung, a popular Taiwanese restaurant ranked as one of the Top Ten Best Restaurants in the world. We patiently waited for a good 45 minutes before we could enter the restaurant. We were supposed to order while waiting outside and were given the menu and the ordering card. 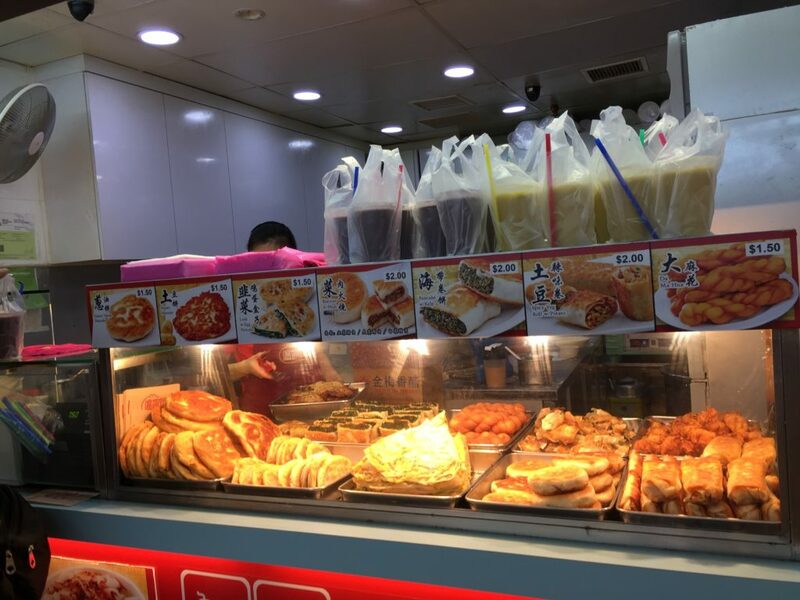 Our friends helped us order all the right vegetarian dishes –soups, baos, dumplings, fried rice, noodles and the amazingly delicious mango pudding and yes! - not to forget the ‘gratis’ supply of green tea! The food was extremely low on fat and spices and was delicious. We really enjoyed the food, the company and the overall authentic Chinese/Taiwanese (One-China policy ;) ) experience. 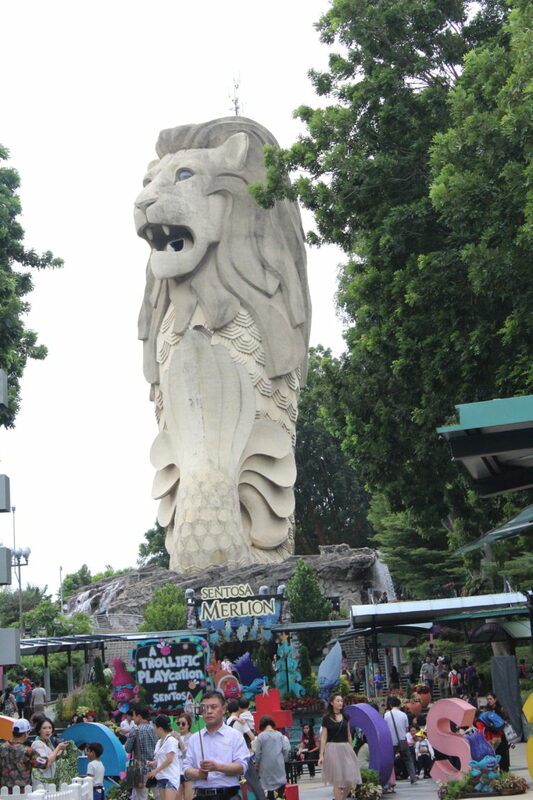 No Singapore trip can be complete without visiting Sentosa, the Singapore Zoo and the famous Jurong Bird Park. Sentosa (again derived from the Sanskrit word ‘Santosha’, meaning happiness ) is an island-resort replete with theme parks and resorts. 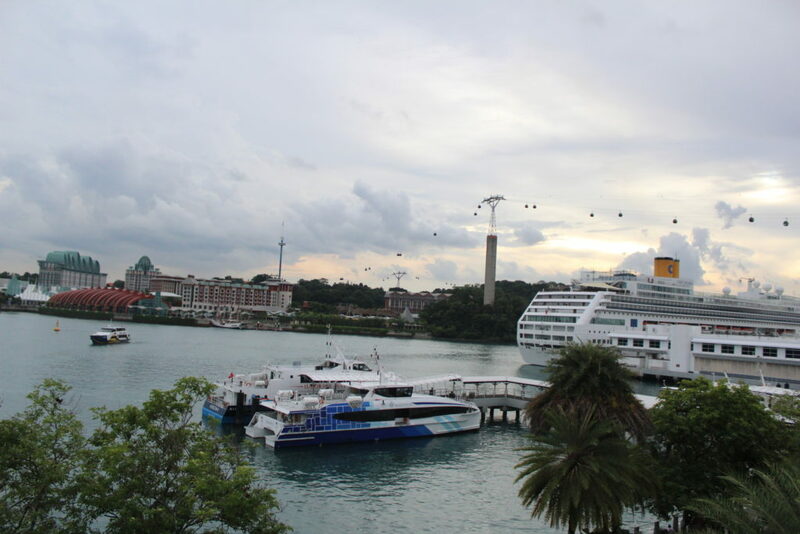 A couple of our days in Singapore were mostly spent in Sentosa, enjoying Universal Studios, aquarium, and the thrilling, ziplining ride to Siloso beach. On one of the days, we decided to take the cable car from Mt. Faber to reach Sentosa, taking in the beautiful sights from above; and on another day we took an Uber through the underground roads of the island to reach there. 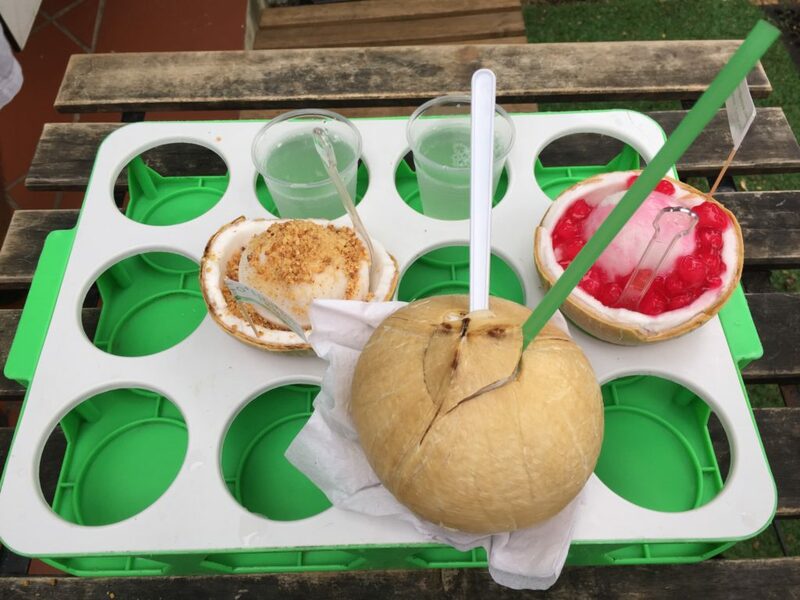 Clicking pictures with the exotic birds, eating delicious coconut ice cream served in coconut shells, spotting a man taking a selfie with a huge snake around his neck; all made for wonderful, happy memories of this place. A visit to Jurong bird park and the Zoo were a must-do for our little one and we were equally glad that we did it. Impeccably maintained with a variety of trees and animals/birds, these places reminded us of the once lush green cover of equatorial forests, this island would have had! Another place deserving a mention is our visit to the Gardens by the Bay. The Cloud Forest Dome in there is a cool, moist observatory showcasing plant life at different altitudes. It has the world’s tallest indoor waterfall, cascading against a mountain. The dome periodically creates an artificial but refreshing mist to mimic the natural environment. The flower dome next to the Cloud dome is equally fantastic. It is the largest glass greenhouse in the world and has an amazing, informative display of flowers and plants from the Mediterranean and semi-arid regions. Gardens by the Bay was a one-of-its-kind experience for us. It was an evening well spent. 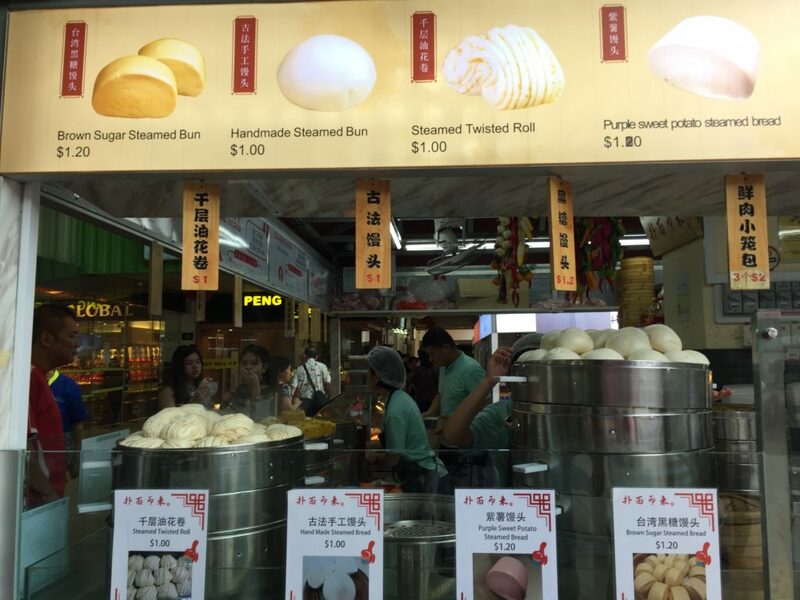 I would strongly recommend this place for all visitors in Singapore. Exiting the gardens, we decided to dine at Clark Quay (Boat quay). We entered one of the pedestrianised lanes that curves itself along the Singapore river. The lane was buzzing with lights and crowds. 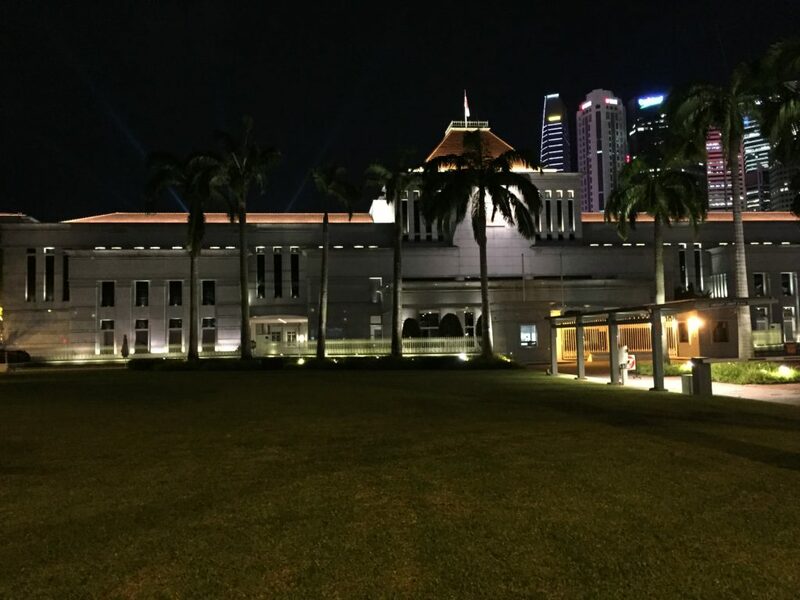 It was packed with bars and restaurants set in iconic, multi-storeyed houses with the famous Fullerton hotel standing tall on the other side of the bank. We preferred the open-air seating by the river. The cool, refreshing breeze passing ferry cruises, the hearty dinner served, and my lovely family as company, all made it a night to remember! We spent almost a week in Singapore and yet felt that there is much more left to explore. We visited all the major landmarks and tourist places and felt that we could have easily spent more time in these places. But, time and flight wait for none ;). Thoroughly impressed with Singapore, we packed our bags with an intent to return soon. Adios! 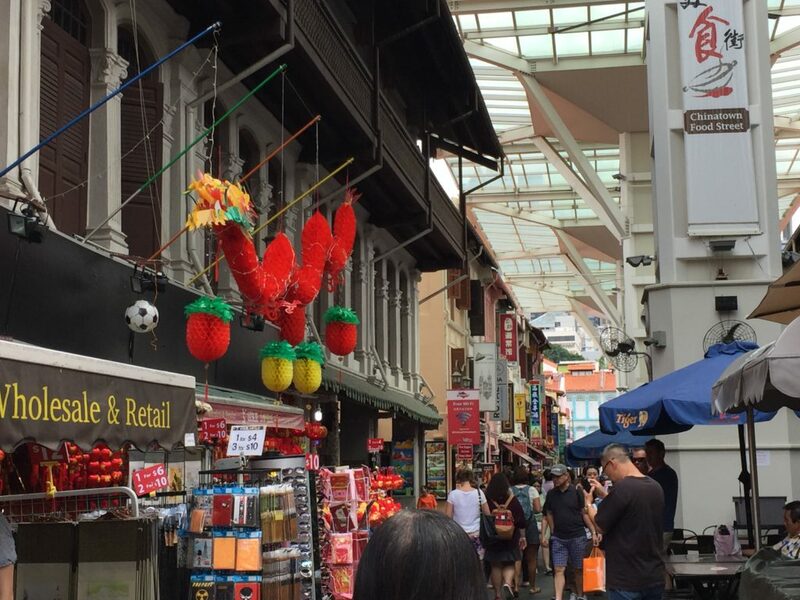 Bugis Street – One of the biggest and cheapest places in Singapore to shop for clothes, souvenirs, accessories, electronics, cosmetics and houseware. Daiso department store – It is a Japanese variety-store chain selling stationery, toys, decorations, gifts, etc. Items are sold for S$2 each.